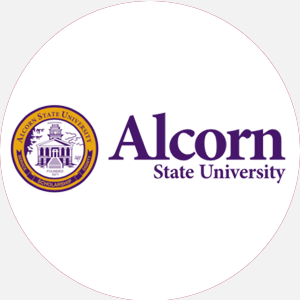 Alcorn State University (ASU) is a four-year, state-supported, coed college founded in 1871 as Alcor…. Alcorn State University (ASU) is a four-year, state-supported, coed college founded in 1871 as Alcorn University. Alcorn is the oldest historically and predominantly black land-grant university in the United States. It began as part of Oakland College, established in 1830 for white men. In 1831, the first degree issued in Mississippi was conferred here. During the Civil War, Oakland College closed; the state purchased the school in 1871 as Alcorn University for the education of black men. In 1895, women were admitted. ASU\\’s first president, Hiram R. Revels, was the first African American elected to the U.S. Senate. Under the 1862 Morrill Land Grant Act, Alcorn became a land-grant institution in 1878; subsequently, the name was changed to Alcorn A&M College of the State of Mississippi. The college\\’s name changed to Alcorn State University in 1974. In 1989, President Bush gave the commencement address at Alcorn. The primary aim of Alcorn is to assume the role of a citadel of learning, where scholars are encouraged to seek new truths and make the proper application of existing knowledge for the betterment of mankind. Alcorn\\’s eighty-nine-building campus includes the famed Oakland Memorial Chapel. The campus is situated on 300 acres, with an additional 1,456 adjacent acres devoted to agriculture and research. Older historic campus buildings stand in sharp contrast to the modern, air-conditioned dormitories. Alcorn State University is accredited by the Southern Association of Colleges and Schools to award the Associate of Science, Bachelor of Arts, Bachelor of Science, Master\\’s, and Educational Specialist degrees. High school diploma (or equivalent) with the following Carnegie units: 4 English, 3 mathematics (algebra I and II and geometry), 3 science (biology, advanced biology, chemistry, advanced chemistry, physics, and advanced physics), 3 social sciences (U.S. history and American government), 2 advanced electives (foreign language, math beyond algebra II, or an extra science), and 1 computer course; official transcript; proof of immunization against measles and rubella. No application fee required. Minimum of 128 semester hours, with 6 hours of English, 6 hours of creative arts, 3 hours of oral communications, 12 hours of social science, 9 hours of natural science, 3 hours of mathematics, 4 hours of physical education or military science, and 1 hour of student adjustment. A minimum 2.0 cumulative GPA is necessary, plus a minimum GPA of 2.0 in the major field of study. Each student must pass the English Proficiency Examination, taken at the beginning of the junior year. Each student must complete a departmental examination or written senior project. The last 12 hours of study must be completed at Alcorn State. Campus Regulations: All students are expected to live in university residence halls, with the exception of those who are within commuting distance. Campus Services: Health center; personal and psychological counseling; career counseling and placement; and testing services for NTE, ACT, GRE, GMAT, LSAT, GED, MCAT, Miller Analogies Test, National Engineering Aptitude Search, Sanford Test of Academic Skills, and English Proficiency Exam. Campus Activities: Social activities include theater, concert and marching band, wind ensemble, Men\’s Glee Club, drama, choir, ROTC band and drill team, and Jazz Ensemble. Students may work on the Alcornite yearbook or the Greater Alcorn Herald, the student newspaper. Broadcasting students can work at WPRL, a public broadcasting radio station run by the university. Leadership opportunities are found in the student government association (SGA) and other student-run organizations, such as Circle-K, NAACP, Black History Month Society, Campus Union Board, Cheering Squad and Beate\’ Noire Modeling Squad, Christian organizations, and department and class organizations. Greek sororities include Alpha Kappa Alpha, Delta Sigma Theta, Sigma Gamma Rho, and Zeta Phi Beta; fraternities include Alpha Phi Alpha, Kappa Alpha Psi, Omega Psi Phi, and Phi Beta Sigma. Honorary societies are also represented on campus. Housing Availability: Four dormitories for men and four for women, totaling 2,000 spaces, are available. Separate dorms are designated for freshmen, athletes, and women band members. Students who are not receiving full financial aid are required to pay a deposit for the residence halls. Handicapped Services: Wheelchair accessibility. Associate of Science: Nursing Bachelor of Arts: Communications, Criminal Justice, Economics, English, History, Music, Political Science, Sociology Bachelor of Science: Accounting; Administration and Management; Agricultural Economics; Agronomy; Animal Science; Biology; Business Administration; Chemistry; Computer Science; Educational Psychology; Elementary Education; Family and Consumer Science; Food and Nutrition; General Agriculture; General Studies; Health, Physical Education, and Recreation; Health Science; Industrial Technology; Mathematics; Music Education; Nursing; Special Education; Vocational and Technical Education Master\\’s Degrees: Agriculture; Biology; Business Administration; Communications and Information Sciences; Educational Administration; Elementary Education; Nursing.